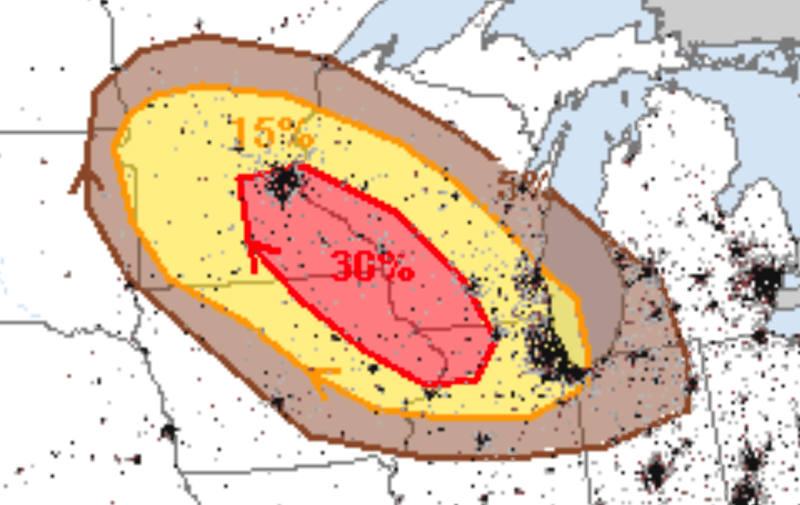 The NWS SPC is forecasting a significant (5%, brown) tornado risk generally west of the Twin Cities this evening. 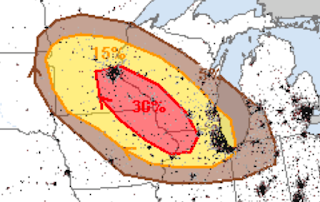 From there, there is an enhanced chance of damaging winds (15% is the signifiant threshold in this forecast) from the Twin Cities to Rockford and the Quad Cities. I recommend that people in these areas prepare accordingly.